HOLLIS, A. C. The Masai: Their Language and Folklore. HOLLIS, A. C. The Masai: Their Language and Folklore. With Introduction by Sir Charles Eliot. Oxford: at the Clarendon Press, 1905 8vo. xxviii,359pp. many illustrations on 27 plates, coloured folding map, index. A very nice copy in the publisher's red cloth. 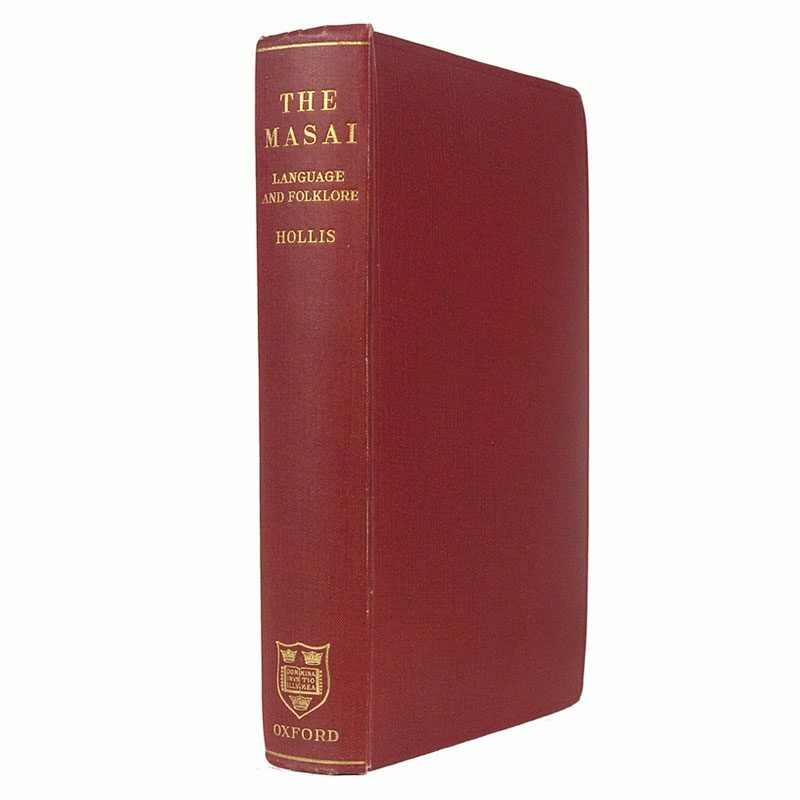 HOLLIS, A. C. The Masai: Their Language and Folklore. With Introduction by Sir Charles Eliot. Oxford: at the Clarendon Press, 1905 8vo. xxviii,359pp. many illustrations on 27 plates, coloured folding map, index. A very nice copy in the publisher’s red cloth.